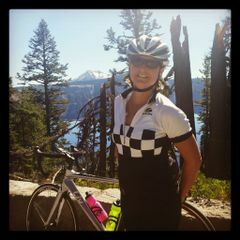 Hosted by Lillian Schiavo G.
This is the weekly intermediate pace road ride which will be leaving from Zach's Bikes. This ride will warm up with the advance ride (depending on who shows up), and meet up again at the firehouse. Expect an average of 15-17mph. Our normal route is designed in such a way that we stop (or slow down) to regroup several times throughout the ride (as we complete loops). This ride is a NO DROP ride, so if you fall off from the group, we will always stop at any turn or natural place to regroup.